. . . a smokin' gun? In summation — be mindful that LED light exposure and/or staring at your television, computer, tablet, or phone before you go to bed is having a negative impact on your eye health and a good night’s rest. 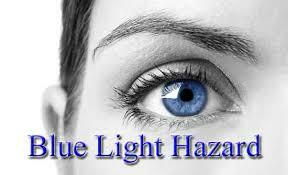 We have developed the “Fullest”- Spectrum Therapeutic Light that reduces your risk of disease. Patent Pending — SOLshine Photo-Nutrition™ is now available for pre-order. As an Enlightened Health Advocate you can passively reduce your risk of disease while helping us spread our vital message to benefit public health.